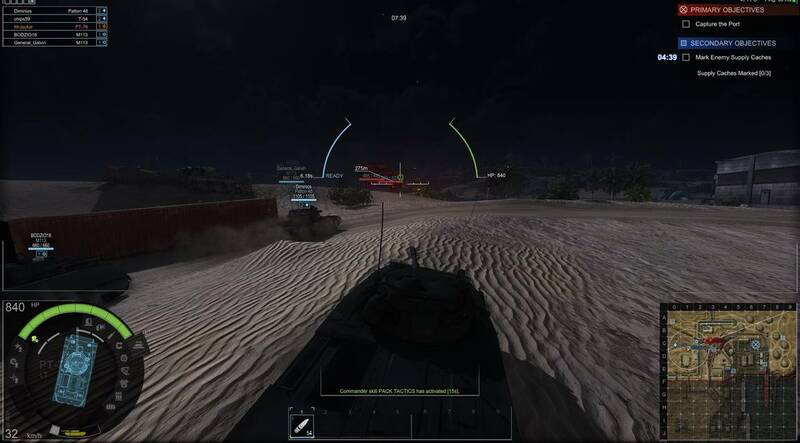 Team based battles with tanks - Armored Warfare features destructible environments and an artillery of weapons from the 1950's to modern day giving the player complete control to destroy whatever they want, when they want and how they want. 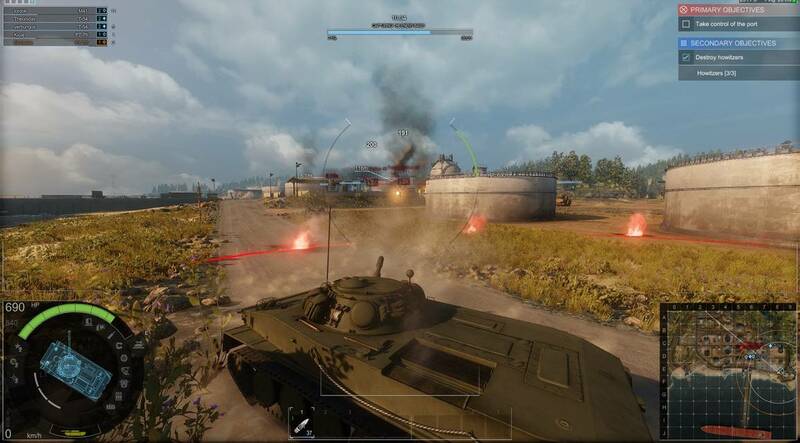 Armored Warfare's key focus seems to be set on two things: realism and destruction. Every aspect of this game revolves around the use of heavy modern day artillery, power and debris. You explore a completely destructible landscape in the year 2030, taking complete control of your own military arsenal. The ultimate goal is to become the most powerful private military team, which heavily relies on the use of character interaction. Forging relationships with contractors, large corporations and unofficial suppliers will give you access to powerful machinery, resources and ammunition. 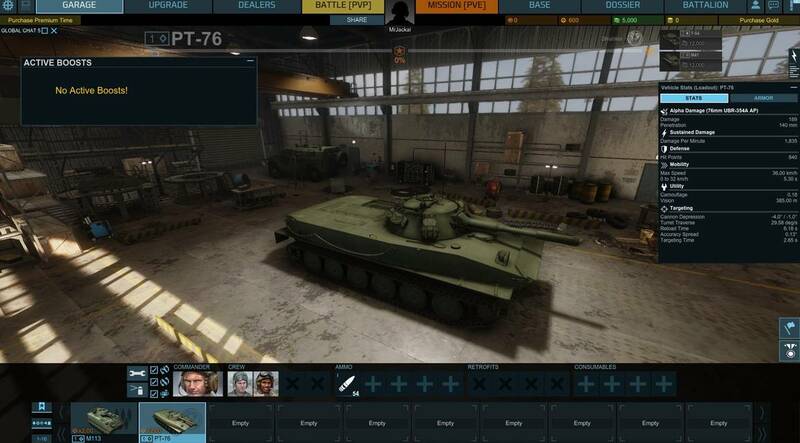 Armored Warfare isn't necessarily a revolutionary movement for tactical military games, in fact most believe it's too closely related to other big titles such as: World of Tanks. However, this massive military war is backed by political and economic chaos and is reason why Armored Warfare differs so much from its competitors. Obsidian's added story-line element gives more meaning to the game. Also, most tank simulating games just offer the same idea but in a different package. However with AW's use of more modern day tanks, this eliminates the possibility of having similar machinery when compared to its competitors. Tank Destroyers- tank with high damage guns but on a lighter, more mobile platform. Each vehicle can be customized with upgrades and retrolifts that will affect your in game performance. As a player you will also be able to customize your tank's visual appearance, adding a more unique and personal gaming experience. Obsidian has made it clear that there will be more updates and customization options available to players in the near future. Some speculation around a sixth vehicle class has got its newly arrived fan-base reeling in excitement. If Obsidian can keep up the excitement with these announcements and deliver, than Armored Warfare will have great potential. 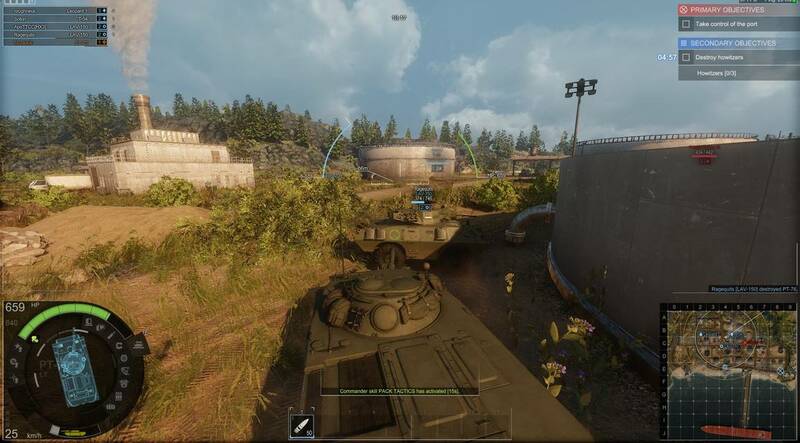 Armored Warfare's primary game-play revolves around the use of vehicles in its PvE and PvP events. The need for constant upgrades are imperative when participating in these arenas. You won't find yourself successful if battling with the basic, start-up tank stats. The PvE challenges are actually very diverse and can vary in difficulty levels. A platoon of up to five players can queue up for a battle against artificial intelligence. There are several difficulty level options for PvE, where success depends solely on the machinery your group brings and coordination between members. In PvP combat, your mission is to capture your enemies base or to destroy all your enemies machines. When in queue mode, there will be two teams of up to 15 players on each team. You can pick what tank you'd like to take into battle, considering that it is in proper condition and fully equipped with ammo. This feature makes the generic battle events a little more entertaining. Your success depends, yet again, on how advanced or upgraded your equipment is. 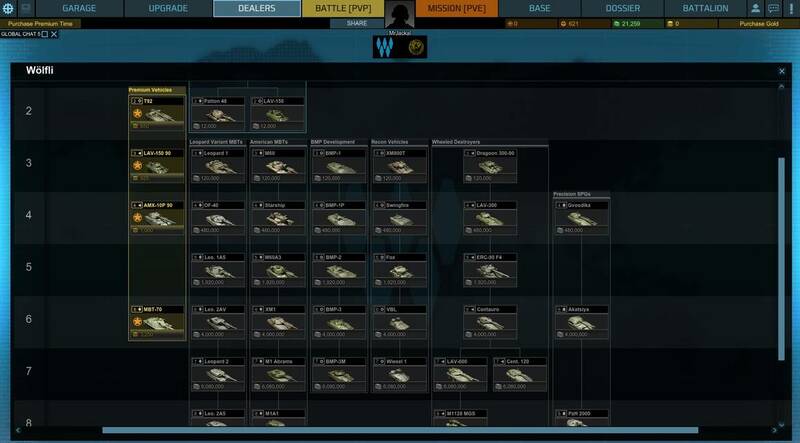 This also shows how Armored Warfare pushes the need for quick progression ultimately attracting players and motivating them to log on; even when the PvE and PvP events are not necessarily ground breaking for the tank simulating genre. Armored Warfare has beautiful, next-generation visuals that instantly stimulate the player upon entrance into its world. The only thing I found disappointing was the lack of "realism" in certain aspects of the game. For a developer who stresses about being historically accurate in its vehicle design, the actual way the landscape affects the tanks when exploring is lack-luster. For example, going into a pile of mud doesn't affect the physical appearance of the machine. Obsidian has confronted this issue in its FAQ page for Armored Warfare stating that this is something they wish to implement in the future. Their reasoning behind not doing so now, is out of fear of slowing down the game's performance rate which, in retrospect is far more important. Armored Warfare keeps getting unfairly criticized for being to similar to other military tank games. In theory, they may all seem the same but diving deeper into Armored Warfare's world, I've found some interesting aspects that separate it completely. This tank game allows for progression, player expression and provides a substantial backstory based in modern/futuristic times. I'm just hoping that Obsidian's promises of in-game updates actually become a reality. If the developers can continue to work upon this game, than the future of Armored Warfare has great potential. 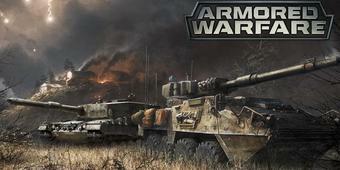 Ready to enter the world of Armored Warfare? Click here to play now! The originality of this game is controversial, as most players find it to similar too World Of Tank (a successful tank game by Wargaming). However, Armored Warfare's use of modern day equipment as well as its added story-line element helps to distinguish it from its competition.